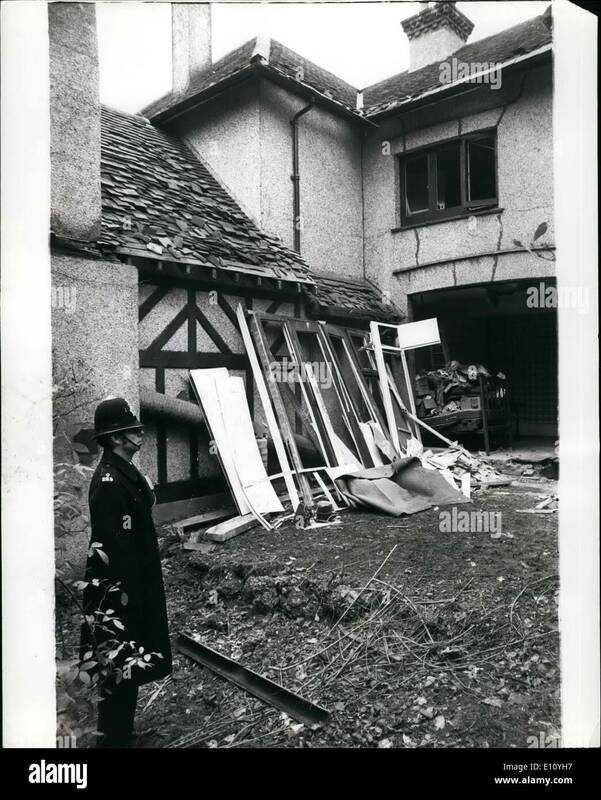 Oct. 10, 1974 - BOMB EXPLOSION AT HARROW SCHOOL: A bomb explosion shattered a house near the famous Harrow School last night. The bomb was placed on a window sill at Peterborough Cottage, a former caretaker's house, now occupied by three masters and their wives. None of the boys or staff at the school were hurt. Photo Shows:- The scene of last night's explosion near Harrow School, pictured this morning. 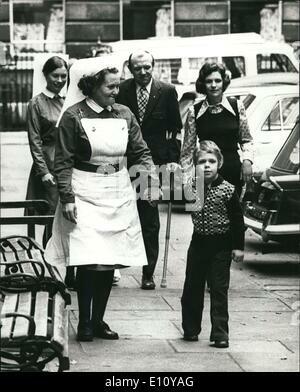 Oct. 10, 1974 - Bomb Blast Services Clubs in London's West End. Terror bombers attacked two crowded Services clubs in London's West End last night. 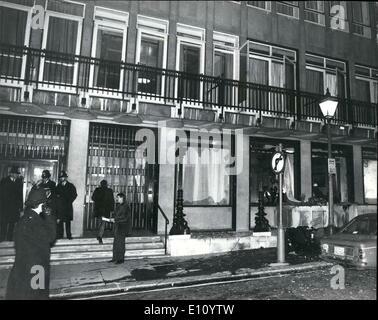 The first blast came when a bomb was hurled through the window of the Victory Ex Servicemen's Club at Marble Arch. Minutes later an explosion shock the Army and Navy Club in Pall Mall. Guests fled from the functions at both clubs, and luckily no one was seriously injured in either blast. 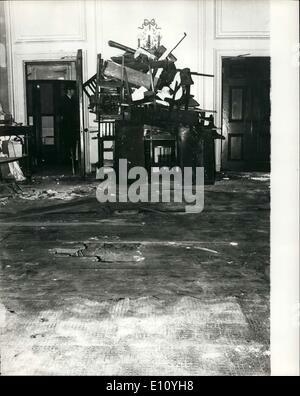 Photo Shows: The scene of devastation - the aftermath of the London bomb blast at the Army and Navy Club in Pall Mall.